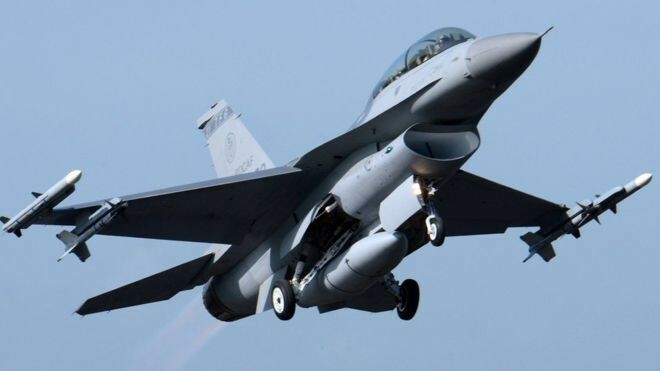 Washington, Mar 06: The United States very closely following the reports that highlight how Pakistan misused US-made F-16 fighter jets against India in the recent aerial confrontation between the air forces of the two countries, a top official of the US State Department has said. The Indian Air Force on Thursday displayed parts of an AMRAAM beyond visual range air-to-air missile as evidence to "conclusively" prove that Pakistan deployed US-manufactured F-16 fighter jets during an aerial raid targeting Indian military installations in Jammu and Kashmir, after India's "non-military" anti-terror operation in Pakistan's Balakot. Pakistan has claimed that no F-16 fighter jets were used. The US had given F-16 fighter jets to Pakistan solely for anti-terror operations within Pakistan. The agreement signed between Islamabad and Washington clearly states that Pakistan cannot use F-16 jets against any other country. It also states that Pakistan needs prior permission from the United States to use certain weapons that come fitted in the aircraft. The US State Department has said that the United States is seeking detailed information from Pakistan on the potential misuse of American-made F-16 fighter jets by it against India in violation of the end-user agreement. "We've seen those reports and we're following that issue very closely," US State Department Deputy Spokesperson Robert Palladino told reporters at his biweekly news conference on Tuesday. He was responding to questions that Pakistan has blatantly violated the end-user agreement on F-16 fighter jets that it got from the United States. "I can't confirm anything, but as a matter of policy, we don't publicly comment on the contents of bilateral agreements that we have in this regard involving US defence technologies nor the communications that we have with other countries about that." "So, we're taking a look and we're going to continue to take a look. I'm going to leave it at that," Palladino said. Tensions between India and Pakistan flared up after a suicide bomber of Pakistan-based terror group Jaish-e-Mohammed or JeM exploded over 60 kg of RDX near a CRPF bus, killing more than 40 soldiers in Jammu and Kashmir's Pulwama district on February 14. India launched a "non-military, pre-emptive" counter-terror operation in Pakistan's Balakot on February 26. The next day, Pakistan Air Force retaliated and downed a MiG-21 fighter jet of the Indian Air Force, while losing an F-16 jet of their own. Pakistan also detained the MiG-21 pilot Wing Commander Abhinandan Varthaman, who was handed over to India on Friday.